Our gift boxes are the perfect thoughtful gift for coffee lovers, teachers, clients, hostesses, and pretty much everyone else on your gift giving list year-round. Select two of our most popular coffees, and then your choose your preferred grind. 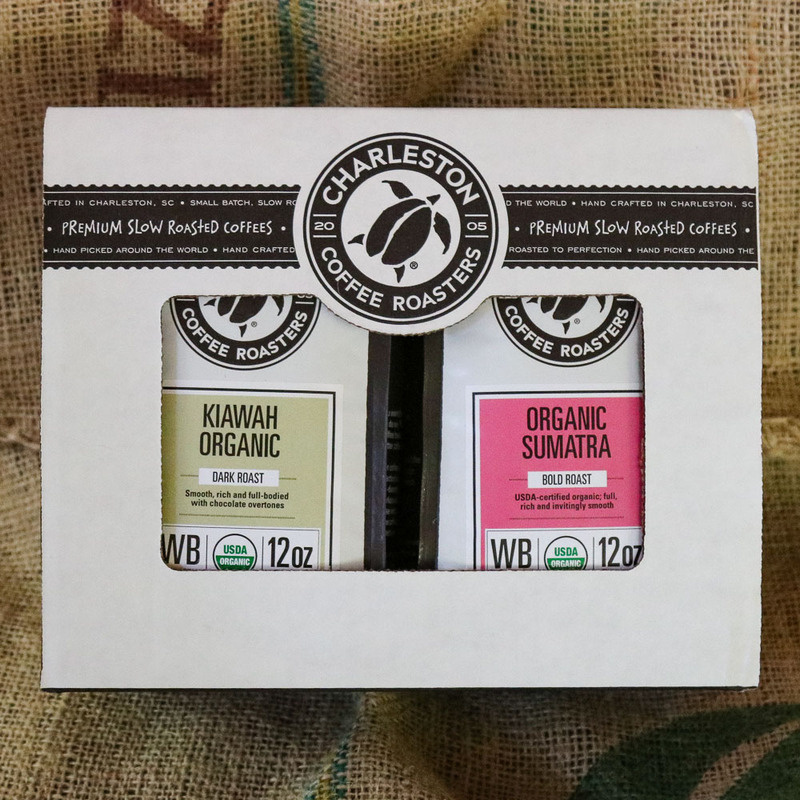 Share the gift of Charleston Coffee Roasters coffee! Our gift boxes are the perfect thoughtful gift for the coffee lover in your life. But they are also great for teachers, clients, hostesses, and pretty much everyone else on your gift-giving list year-round. This box includes two 12oz bags of your choice of coffee (and in your preferred grind). It is packaged in a handsome box topped with our logo that is ready for giving.